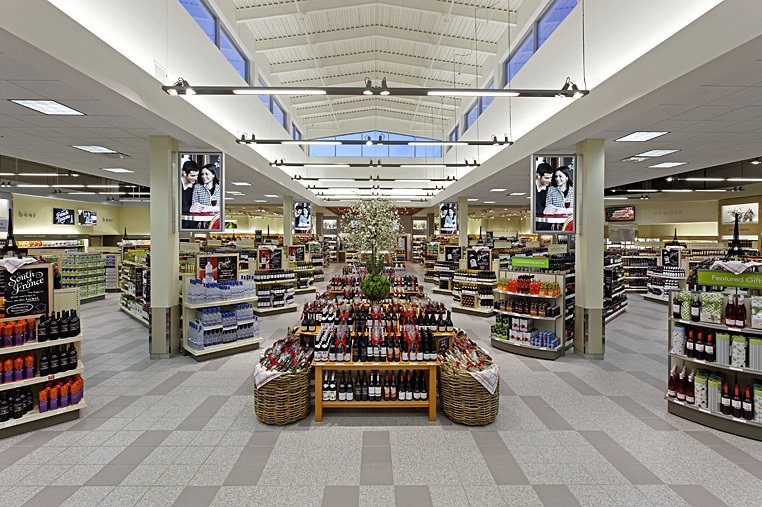 Designed to offer a similar selection and experience to its urban counterparts, while meeting the distinctive needs of an affluent demographic, this flagship combines thoughtful design with cutting-edge features. 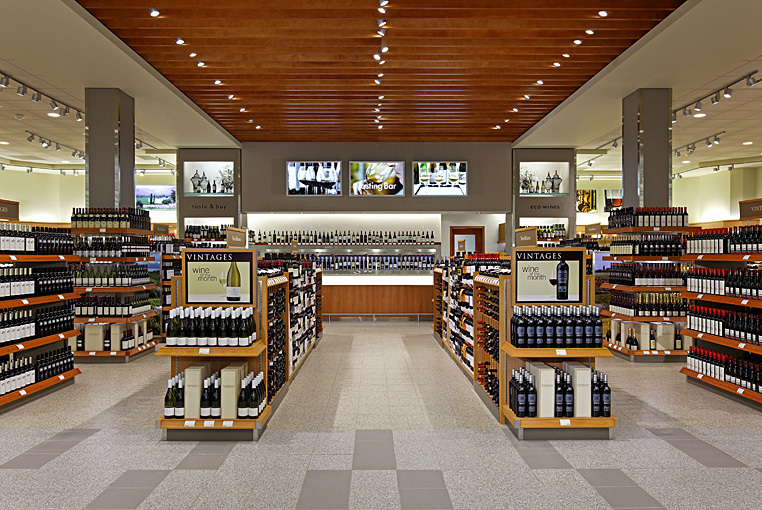 Nestled in a prestigious bedroom community and occupying 17,000 sq ft, this location is the most customer-focused store to date for the LCBO. 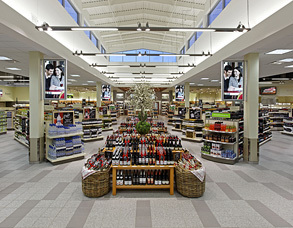 Conceived as a double-volume space washed with natural light to allow for a dynamic shopping environment, and balanced with intimate and interactive gathering hubs, a new level of customer experience is achieved. 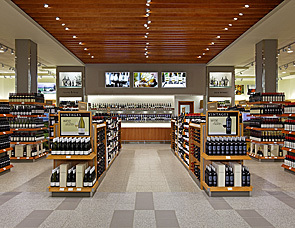 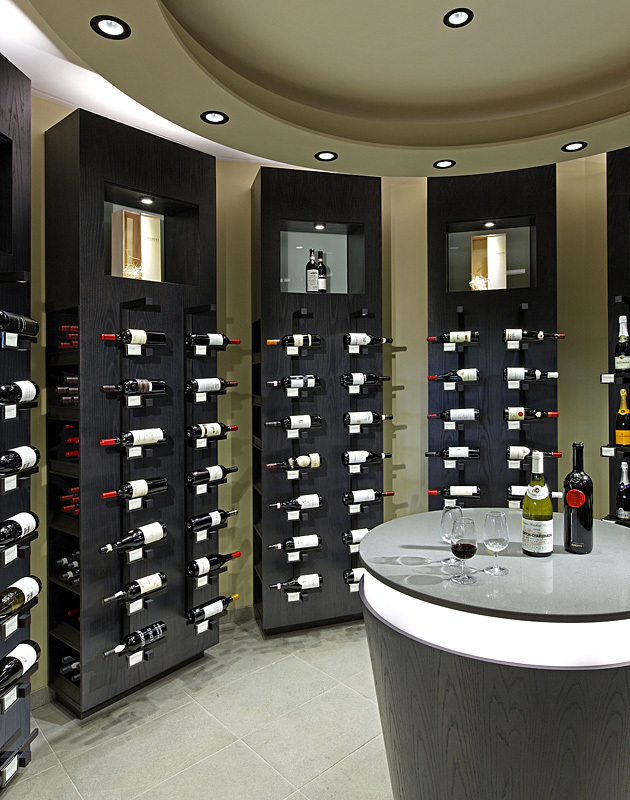 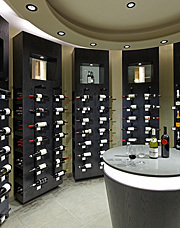 Ground-breaking features include a vast Vintages section occupying almost half of the sales floor, a large tasting bar with automated dispensing and preservation system, the first walk-in, temperature-controlled room for showcasing high-end products, and a demonstration kitchen in the heart of the store.